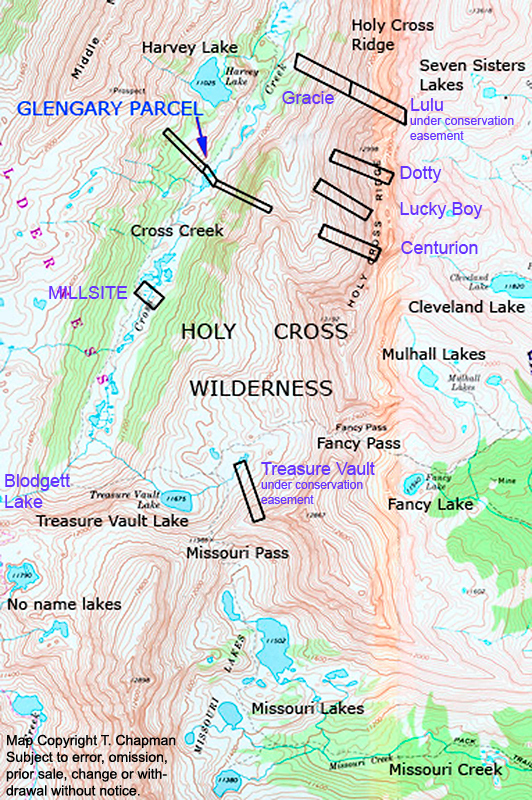 The Holy Cross Ridge Group consists of three ten-acre parcels, the Lucky Boy, Dotty, and Centurion. 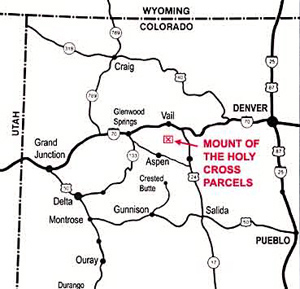 It originally contained a fourth parcel, the Lulu parcel. 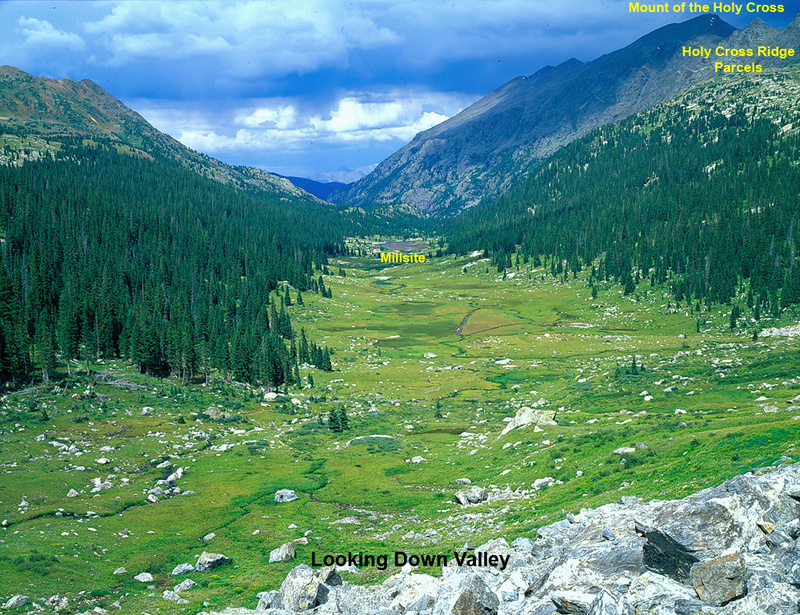 These parcels were originally purchased by TDX, L.P. for "assemblage" purposes; that is to say, to consolidate all the remaining private land within the 17-mile Cross Creek valley into one ownership. The Lulu parcel and Treasure Vault parcel were placed under conservation easement by another party. 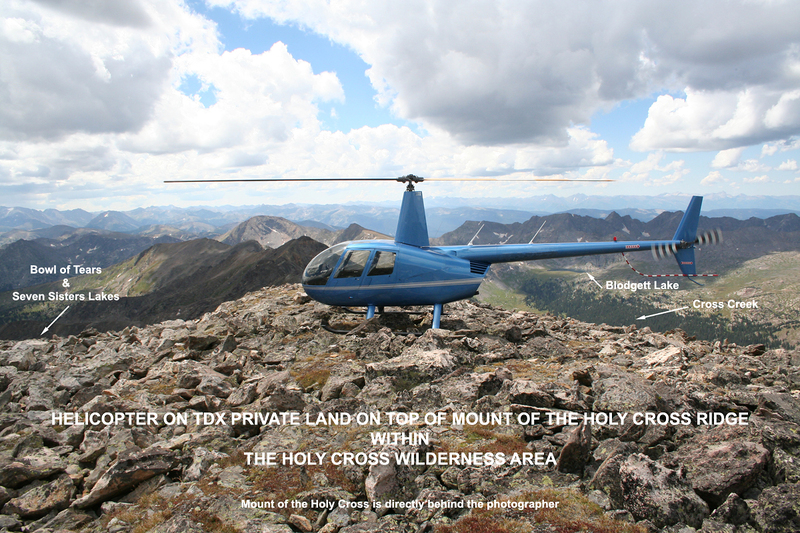 The balance of the private lands in Cross Creek are once again owned by TDX, in fee simple, with no conservation easements.